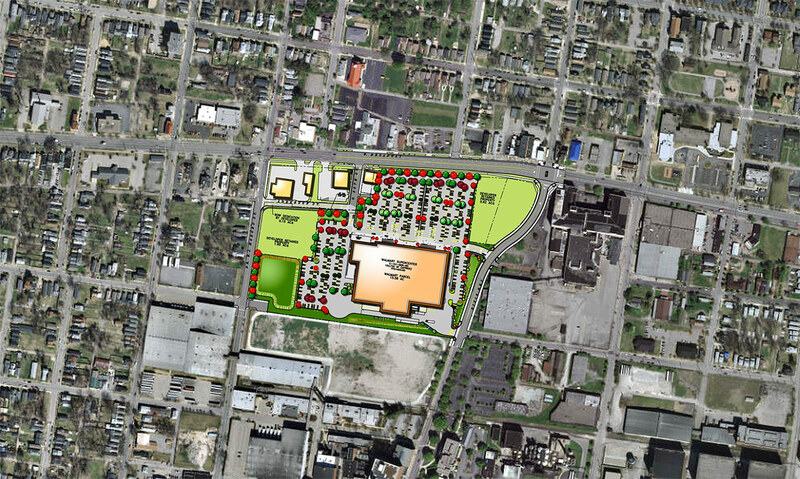 As the fallout from the recent Louisville Metro Planning Commission meeting continues to settle, it’s worth taking a close look at what the planned West End Walmart promises. The place to start is obvious: few people believe the city got the deal it deserved. The exemptions that the commission granted the Walmart Corporation all but clear the way for construction of a store that will limit prospects for future development in areas immediately proximate to the 18th Street and West Broadway site. Suburban-style stores of the kind Walmart plans to build are good at low-price retailing and little else. As several commentators have observed, they deaden pedestrian traffic, send vehicular traffic through the roof, and limit nearby land use to fast food and gas stations. Want to create a commercial hub that kills opportunities for secondary development nearby? Put a massive parking lot between the store and the street. Want to promote specialty retail, restaurants, small offices, and maybe even residential development? Put the storefront on the street. It’s that simple. Seventy-five years of planning and land-use history have upheld this maxim time and time again. Yet whether because of public pressure, fear of a Walmart pullout, or the desire to put a controversial decision behind it, the commission voted for a plan that brings big-box retail to the West End but may well discourage additional investments in the years to come. At stake with the Walmart decision is the difference between investments that spawn additional activity and those that don’t. Without question, the West End needs economic development. Decades of disinvestment and crippling policy decisions have left what should be one of the most vibrant parts of Louisville a zone of poverty and despair. 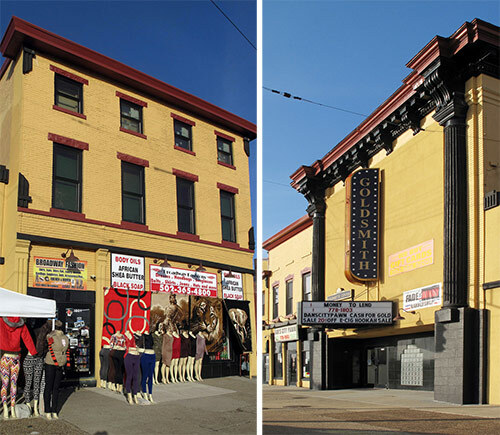 An extraordinary collection of historic buildings, close proximity to downtown, and well-developed infrastructure make the most of an area prime for revitalization. Still, sparking renewal has proven difficult. Although it’s tempting to see any kind of new investment as better than none, the reality is that not all forms of development are equal. Some foreclose as many opportunities as they create. Ironically, the Walmart decision comes as a new study that promises to identify key areas of economic promise is getting underway. In November, the National Trust for Historic Preservation announced that a grant from the Owsley Brown II Family Foundation will fund three years of research on Louisville by the organization’s “Green Lab” wing. Founded in 2009, Green Lab was created to explore the value “that older buildings bring to their communities” and pioneer policies that facilitate reuse and greening of older and historic buildings. Already, Green Lab projects have delivered impressive results. Several studies on the environmental results of reusing and retrofitting existing buildings have shown strong advantages compared to demolition and new construction, even when the latter are “green” designs. A major report, The Greenest Building: Quantifying the Environmental Value of Building Reuse, lays these findings out in detail. More recently, Green Lab has tackled the question of why some neighborhoods become “hot” in ways that others don’t. 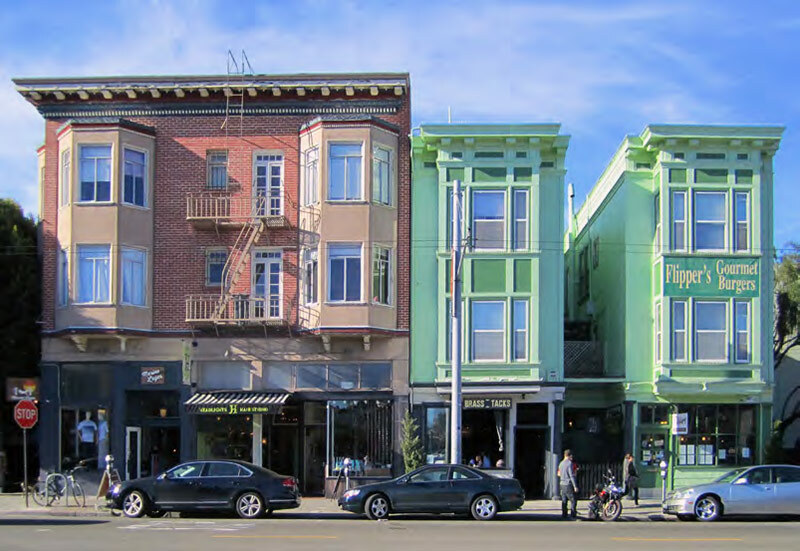 Older, Smaller, Better: Measuring How the Character of Buildings and Blocks Influences Urban Vitality, released last May, examines the conditions that create thriving centers of urban life. The result is a detailed analysis of the factors that give some areas enviable economic strength and why others with seemingly comparable potential are left wanting. The Older, Smaller, Better study goes a long way toward explaining why some of Louisville’s best-known neighborhoods work as they do. Take Bardstown Road, for example. The 31-block stretch between Payne Street and Douglass Loop is one of the most active and prosperous parts of the city. Its hodge-podge collection of architecture is hardly remarkable, at least on the surface. What it does have going for it, however, is not hard to discern. 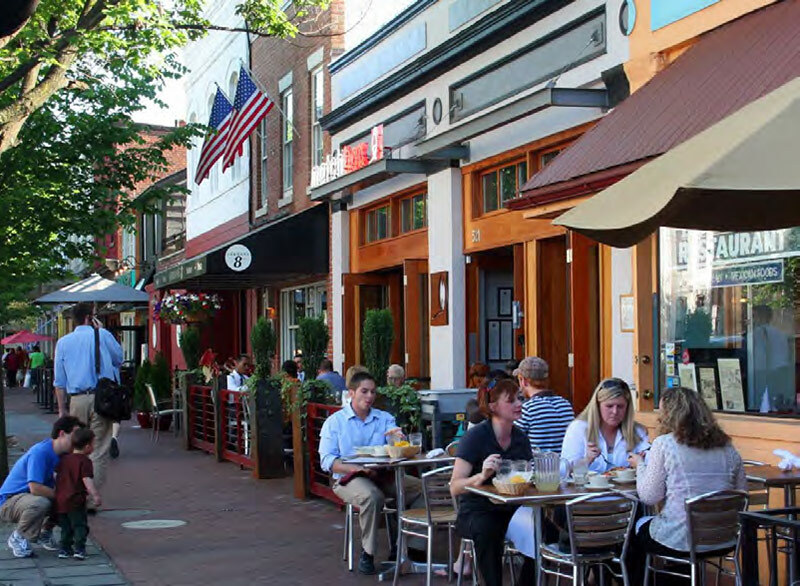 An eclectic mix of businesses, walkability, intermingled residential, retail, restaurants, and bars, and close integration with surrounding neighborhoods give it a level of activity and a diversity of land use matched by few other areas. Big-box stores are one-stop destinations. Bardstown Road isn’t. It’s a place where people go to stroll, to mingle, to run errands, to eat and run into folks they know, to stop in at Carmichael’s and then grab lunch nearby—to do lots of things, in other words. Being open to these possibilities is part of the equation; its what the environment encourages. Now, it’s true that Bardstown Road does not suit everyone’s taste. It can be congested and a little too lively, depending on one’s mood. It doesn’t have stores that sell the range of products available at Target or a Walmart Supercenter. You can’t get the kids’ school supplies, new underwear, mouthwash, fresh broccoli, and motor oil in one location. But, the limitations are also part of the charm. The modern capitalist economy needs low-cost mass retailing as much as it needs places where different forms of commerce flourish. Interestingly enough, the latter delivers greater returns than one might expect. Big-box retailing, it turns out, is not as strong an economic engine—not to host communities, at least—as usually presumed. The research behind Older, Smaller, Better explains the dynamism behind places such as Bardstown Road. A mix of older, smaller buildings is especially important. Places that have evolved over time are more inviting for small businesses, professional offices, and people who want to live near centers of activity. Ongoing, incremental development has knit the built fabric together in ways that encourage high levels of occupational density. Per square foot, Green Lab has found that some neighborhoods of this kind have more jobs than comparable areas with new and larger buildings. Also important are the types of businesses present. Creative industries (media production, performing arts, graphic design, and software development, for example), new businesses, and businesses owned by women and minorities are more common. The “creative class” that Richard Florida popularized more than a decade ago really does prefer the kind of environments he said it does. New developments and corporate settings aren’t nearly as appealing. Older, smaller-scale areas are, especially if they’re a little rough aesthetically and lack the homogeneity that characterizes their suburban counterparts. Mixed-occupancy and land use means activity at more hours of the day. Places like Bardstown Road don’t have the “dead spells” that characterize other areas. The post-5:00 p.m. desolation typical of many downtown business districts—including parts of Louisville’s—doesn’t exist. Bardstown Road is busy throughout the workday and well into the evening (and sometimes the wee hours) most days of the week. That means more spending, more activity, more vitality—in short, a true center of urban life, not one that acts the part only for a portion of every 24-hour cycle. Not every commercial corridor needs to be a Bardstown Road, nor is it reasonable to think that many can be. The range of retailing and services needed in any major cities demands a variety of environments, many of which are not suited to low-rise buildings and walkable environments. At the same time, it’s important to recognize what such neighborhoods do well, and why. By bringing people together, they promote social interaction, some planned, some not. That alone is useful, for people are attracted to activity. The sight of people having a good time is alluring. 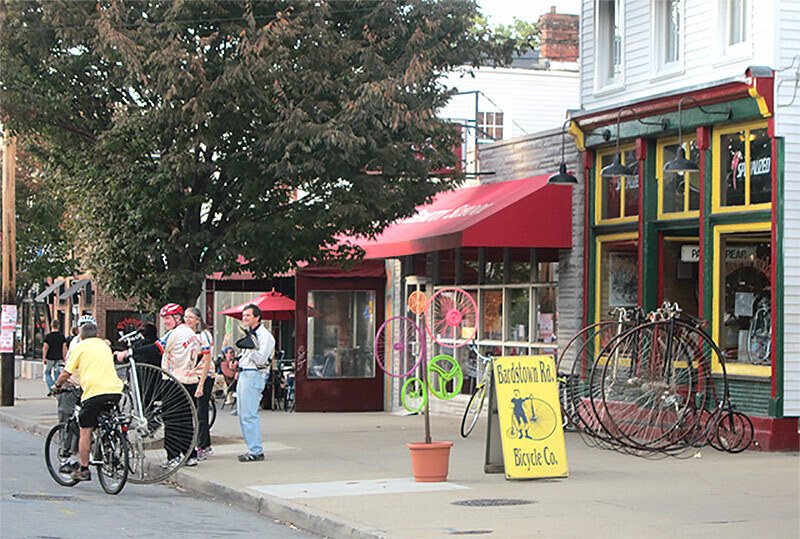 Second, Bardstown Road–type environments draw people in. By encouraging lingering, walking, exploring, they promote possibilities that are less likely to occur in other circumstances. They promote multiple forms of activity and all the options that come with that mix. Moreover, by giving new businesses and small firms a place to start, they foster vital forms of economic activity. Small businesses, as the saying goes, are job creators, and locally-owned businesses put money back into local economies at a higher rate than chain stores. Finally, places such as Bardstown Road have a resiliency that is hard to match. When was the last time you saw a storefront that remained vacant for long? One closes, another moves in. Although business turnover is present, the overall level is low, meaning that neighborhood is largely unaffected. Taken as a whole, the qualities that Green Lab’s research has highlighted make clear the reasons that proponents of an “urban design” fought hard for the planning commission to uphold the land development code. The setback exemption granted—more than 400 feet from the street—destroys the potential for walkability. What should become an inviting frontage along West Broadway—and a stimuli for smaller-scale development in neighboring areas—will instead become an in-out zone of vehicular traffic, a use as off-putting to pedestrians as any. Elimination of the requested entrance on the east side of the building delivers a similar, albeit less severe, blow, for it kills engagement with the streetscape along Dixie Highway. Reduction of the amount of glass on the store further disconnects the building from its surroundings. Compared to the other exemptions, however, this is a minor concern. The main conflict with the vision outlined in the Cornerstone 2020 plan is the massive parking lot fronting the street. Allowing that lot to be built effectively upends the “traditional marketplace corridor” concept and sets a precedent for more suburban-style development nearby. Design matters. Buildings shape how people interact with one another and where and how economic activity takes place. These principles are well known, and yet communities continue to make decisions that effectively hope that something will work out differently, just for once. Walmart will, under the current plan, make a significant investment at the 18th and West Broadway site. For a modest additional expenditure (considerably less than the taxpayer-subsidized incentives granted by the city), it could build a store that will earn better returns over time and spawn additional development of a kind that would set West Broadway on the path toward becoming a commercial destination, not a zone of low-end strip malls. The aim need not be to create another Bardstown Road but, rather, to begin rebuilding for the long term. In a lengthy post published on this blog last week, Branden Klayko chronicled the long history of missteps and missed opportunities that led to the planning commission decision on January 29. There’s plenty of blame to go around for the failure to secure higher-quality investment on the site. The optimistic view is that Walmart’s planned design is “good enough” and certainly better than nothing. In fact, the constraints that the proposed store will likely impose promise to close off opportunities for more durable, better-performing types of development. For a long-disadvantaged area that continues to struggle, this is a huge loss. It increases the likelihood of continued marginalization and makes a path toward prosperity all the more difficult. The Walmart decision is only one among a spate of recent development-related news that, on the whole, bode well for the city. The opening of the new Embassy Suites on South Fourth Street, the announcements of the planned Omni hotel complex and the new downtown Kindred building, and an upsurge of activity in Old Louisville are signs of a strong rebound from the 2008 recession and a combination of revitalization and new investment with tremendous potential. These and other developments form a pattern that suggests strengthening renewal of urban-core areas and decreased suburban growth. The attention the city continues to attract because of its food-and-drink scene, Bourbon tourism, sports teams, and hipster hangouts thrives off density, vitality, and diversity. More development within the Watterson and especially in the urban core is crucial to sustaining this trend. As the Green Lab project progresses, expect to see news about the qualities that underpin areas of long-standing strength and where untapped potential lies. Bardstown Road, after all, is not unique. Similar patterns are present on Frankfort Avenue, in Nulu, in parts of Downtown, in St. Matthews, and across the river in the commercial cores of New Albany and Jeffersonville. It’s what makes these places popular—and, not coincidentally, what Gill Holland and his backers eventually hope to see in Portland. No matter where one lives and chooses to shop, centers of commercial and social activity are vital for Louisville’s prosperity. The 21st-century economy prizes authenticity above all else. It’s what lies behind the cultural attractions that make communities distinctive. It’s what fosters high-value development and keeps places from looking and feeling just like everywhere else. Louisville has distinctiveness in spades, and yet the push to take full advantage of the city’s strengths has been slow to gain momentum. Although the general trend now clearly leans upward, it’s important to recognize why the Walmart decision will prove costly. The diminished potential will be with us for years, long after other developments have happened and, most likely, other areas have begun to thrive. Recognizing this is essential for avoiding similarly shortsighted decisions in the future. Green Lab’s data-driven approach to urban life promises to deliver the strongest evidence yet of why “silver bullet”–style developments rarely yield all that’s expected of them. Let’s hope for the sake of West Louisville that Walmart proves the formula wrong in this instance. Chances are, however, that it won’t. That fact alone should give us pause. Options for redeveloping sites like the former Philip Morris factory come around only so often, and not making the most of them is a mistake. Hello, Daniel. You avoid the simple facts. West Louisville is undesirable. Attempts have been made through LCDB to fix up neighborhoods, but end up trashed. The movie theater failed. The area is considered a “food desert,” and the city has to bribe…uh… I mean “support” people to set up businesses in that impoverished & dangerous area. The only real way to fix the West End is to eliminate the poverty, crime and pollution. I’ve been in grocery stores in that area over the past 30 years. Theft and vandalism have been common, inside and outside. I would not want to set up a business that needs bars on the windows. I would not want to shop in an area where car break-ins and panhandlers are the norm. Not even a spanking new WalMart will make me want to shop downtown. Never. Yet you want to wait for a “perfect plan” based on your studies. They could build Disneyland Louisville on that spot and I would avoid it like grim death. Economic and sociological problems hold back Louisville. WalMart holds back America. I understand this is your field of study, but aim it elsewhere. More interesting is the likes of Norton Commons, where wealth and power can grease the wheels and make a mini-town, isolating and elevating itself from the rest of Louisville.